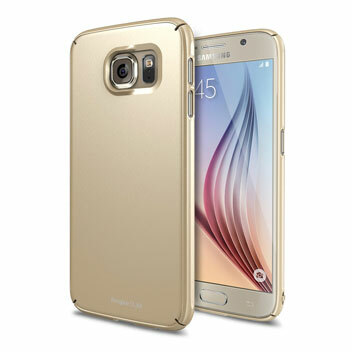 Provide your Samsung Galaxy S6 with ultra-thin, tough snap-on protection with this Ringke Slim gold polycarbonate case. Excellent slimline case that looks amazing! MobileZap was fantastic as my original order was damaged in transit and MobileZap sent me a new one immediately - thanks for the great service! Þhis case is a perfect fit for my phone. My phone is gokd colour and the case matches exactly.. The quality of the case is really goof. Well pkeased with my purchase. 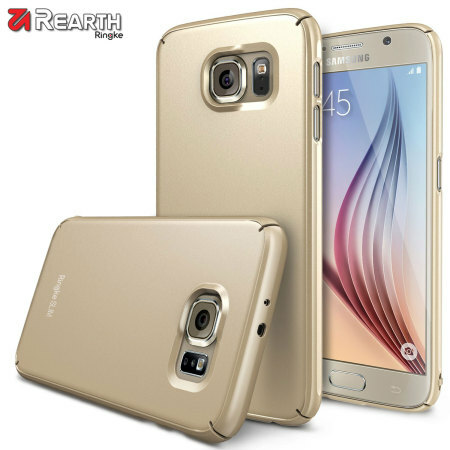 The Rearth Ringke Slim is an incredibly thin polycarbonate case. 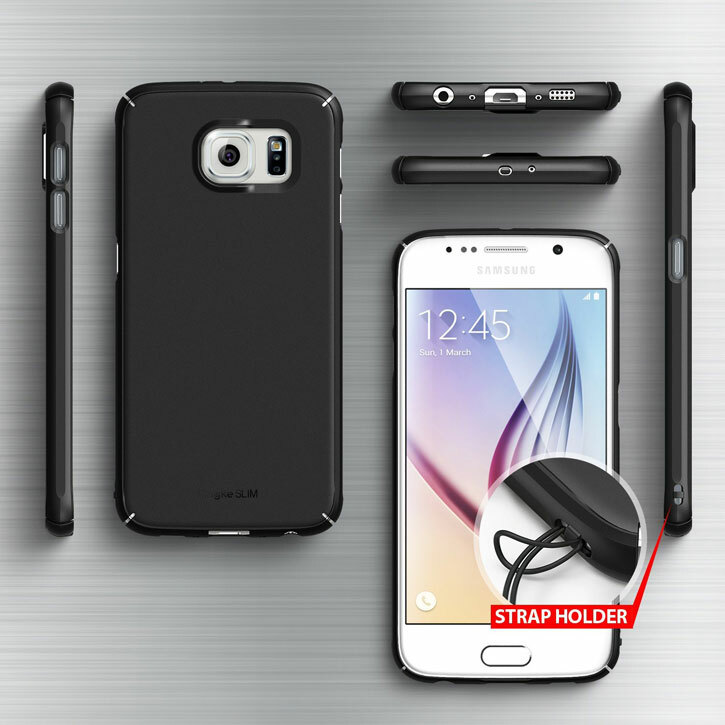 The tough shell case clips easily on to your phone, covering the back and sides of your Samsung Galaxy S6. 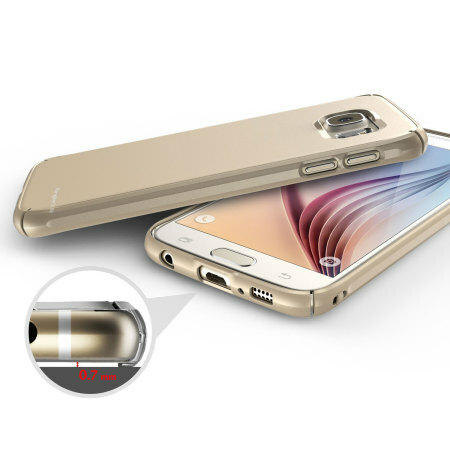 Wrapping it in stylish and slim protection, the Ringke Slim is designed to keep the slender shape of your Galaxy S6 without adding any unnecessary bulk. 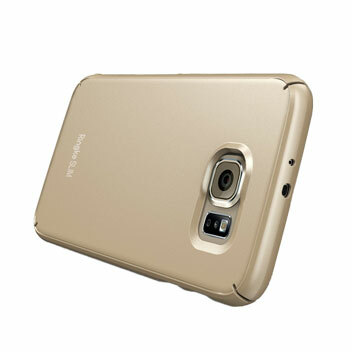 Ringke Slim cases are form fitting and cover the back and vulnerable corners of your phone from damage. 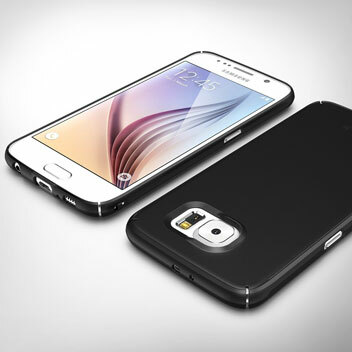 They are made using a new dual coating technology, which makes the case two times more durable and last twice as long. This fantastic new technology keeps it looking as good as the day you bought it. Complementing the protective properties of the polycarbonate shell is a luxurious finish, that not only helps to improve grip when holding the handset, but also makes it more comfortable in the palm of your hand. Designed to allow for your phone to be fully accessible while in the case, the Rearth Ringke Slim Case has cut-outs for all of the ports and features. This includes the camera, flash and charging port. 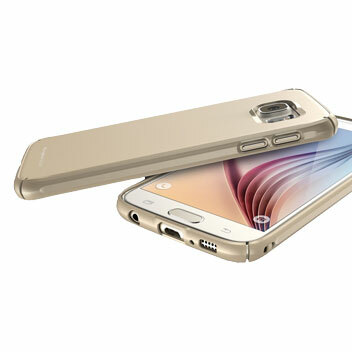 This means you won't have to remove the case to use the full capabilities of your Galaxy S6.